1.Transfer at a western-----union agent location, you can visit: www.westernunion.com to find which one is the nearest and fill in a form then send email to us about payment info: MTCN, sender name (First name, Last Name), total amount (EURO) you want to transfer and billing address/ sender country. 1) You need a credit card! 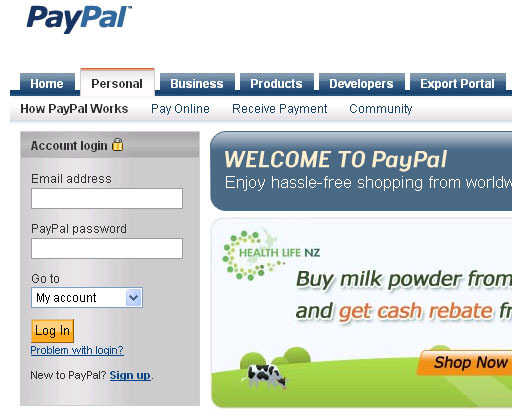 2) Go to www.paypal.com and sign up for an account there. 3) If you want to buy on our website, you can just hit "buy now" and it will lead you to paypal, where you enter your password and then that's all it takes. 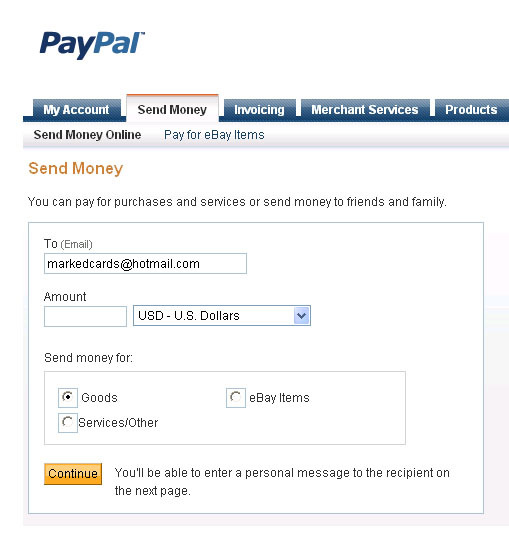 If not, sign in, go to the "send payment" tab on the top of the page, then enter the our e-mail address: markedcards@hotmail.com and follow the directions.